Remove neck and giblets from cavities. Cook neck and giblets for broth for flavoring dressing and for giblet gravy. 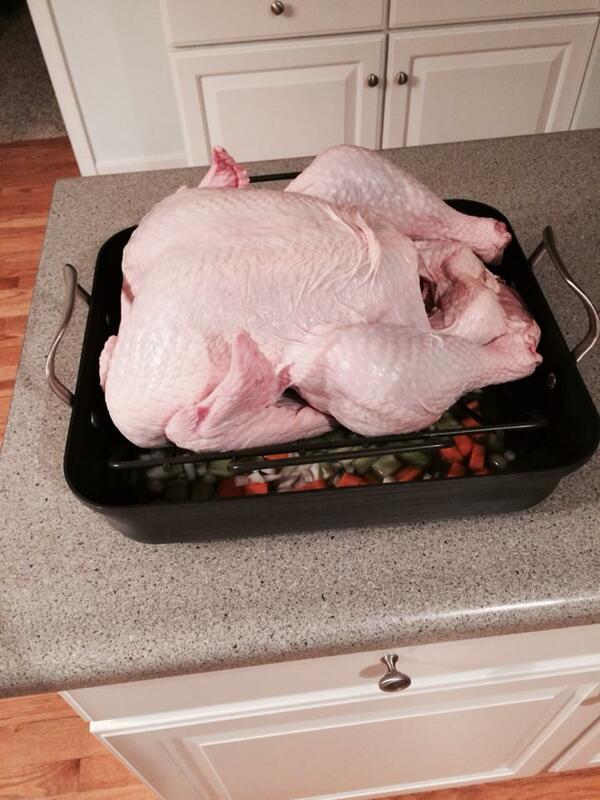 Place turkey breast-up on rack in shallow roastingpan. Add Approximately 1/2 cup of water. Roast for 1/2 hour, then lower to 300°-325°. *These are approximate temperatures and times as all ovens vary. * Stuffed turkeys may require about ½ hour additional roasting time. *A cooking bag or cover pan may take off an hour. *When using a pop up timer, place it in the breast meat.